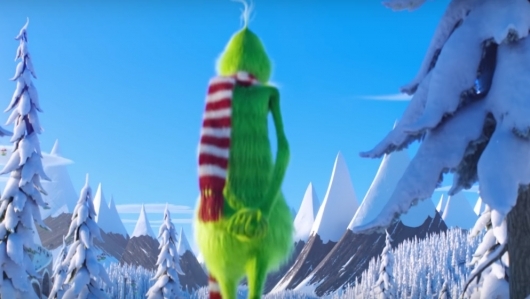 The first trailer has been released for The Grinch, Illumination and Universal Pictures’ take on the Dr. Seuss holiday classic How the Grinch Stole Christmas! The story has been adapted multiple times, with the most well-known being the beloved 1966 animated short starring Boris Karloff as the voice of the Grinch. Another well-known adaptation is the 2000 live-action movie directed by Ron Howard and starring Jim Carrey in the title role. This time around, as we found out back in 2016, it’s Oscar nominee Benedict Cumberbatch (The Imitation Game, Doctor Strange) voicing Mr. Grinch. Continue below to read a lengthy synopsis and check out the trailer. The movie will be released in theaters on during the 2018 holiday season on November 9th.